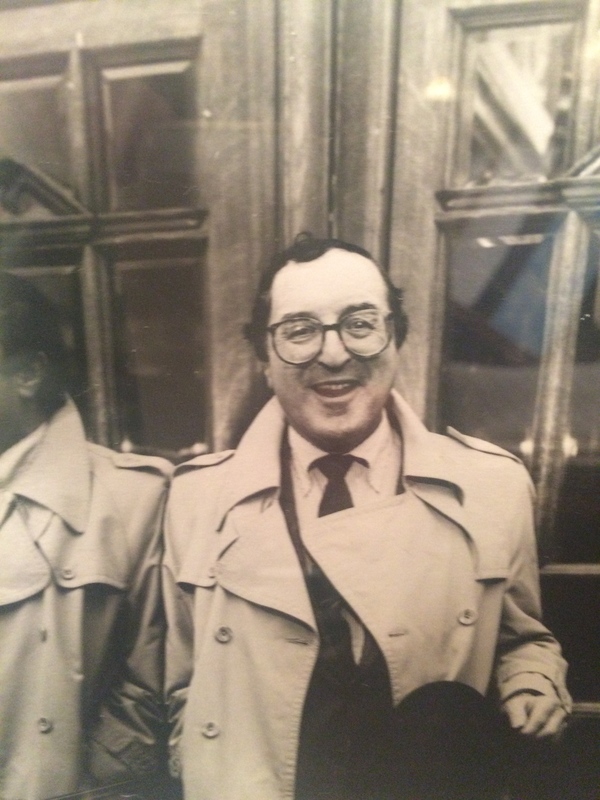 I had known Peter Sellers since his Goon Show days. At that time I was the pianist/manager for the Johnny Dankworth band. In the early 1960’s we were doing a late night weekly BBC broadcast called ‘Johnny Come Lately’, whilst in studio on the floor above, the Goons were recording their wild, surrealistically funny ‘The Goon Show’. 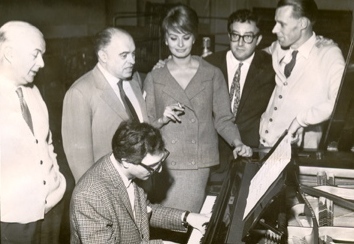 Very often Peter, together with Spike Milligan, Michael Bentine and occasionally Harry Secombe, would come down stairs to our studio to listen to – and in Spike Milligan’s case try to interfere with – our jazz programme. Spike even brought his trumpet with him on one occasion! Thank heavens for directional microphones, or the listeners might have been forgiven for thinking that Johnny Dankworth had suddenly gone mad! Of course I got to know Peter Sellers much better during the time we were rehearsing and recording my compositions, “Goodness Gracious Me” and “Bangers and Mash” in which he was partnered with the vivaciously beautiful Sofia Loren. Peter and I had at that time quite a strong facial resemblance and physique. I remember walking down Abbey Road with him after the recording session, and being rushed by four glittery-eyed young girls, who had mistaken me for him. With him standing right next to me they nevertheless demanded excitedly from me, “Give us your autograph Peter”. Peter never let on they were accosting the wrong person. So in order to get rid of them as quickly as possible I signed Peter’s name in their autograph books. Sadly, there are four (by now) middle-aged ladies who think they have Peter Sellers’ autograph when in fact they’ve got mine instead. “It’s not a coincidence. I have a terrible memory for names, so everyone who works for me is called ‘George’. As I got out of his car in front of my apartment, some crazy things happened, which to an outsider must have looked rather like a scene from a slapstick-comedy. It went like this: as I was getting myself out, my tweed trilby hat somehow came into contact with the top of the car’s door frame knocking it off my head and into the gutter. As I bent over to retrieve it, my glasses fell off. I scrambled down again to pick them up but in doing so my gloves fell out of the pocket of the light beige military style raincoat I was wearing and in bending over too quickly to pick them up my hat fell off again followed by my glasses. Like I said, it was a couple of minutes of pure slapstick. Finally, having got all my gear back in the right places and rather embarrassed by my ridiculous performance, I thanked Peter for the ride. I noticed he was looking at me, a strange expression on his face. He said: “ d’you know in my next film I have to play a rather accident prone French detective. You have just given me my character. I think I now know exactly how to play him. Okay, what I need to know is: where did you get that raincoat and where did you buy that hat”? I told him. He wrote down the names of the shops. And that folks is how and why Inspector Clouseau is seen wearing a light beige military style raincoat and a tweed hat. As I do not usually drop things in this ham-fisted way, I think in retrospect that the Gods controlling Peter’s career, caused the whole damned thing to happen in order to help him play his role as perfectly as he did. What a story!!!! And I totally believe it! Great photo of Sellers & Loren with George Martin! Given your history with him, I wouldn’t be surprised if we hear more about this fascinating man at some point! Can’t wait!